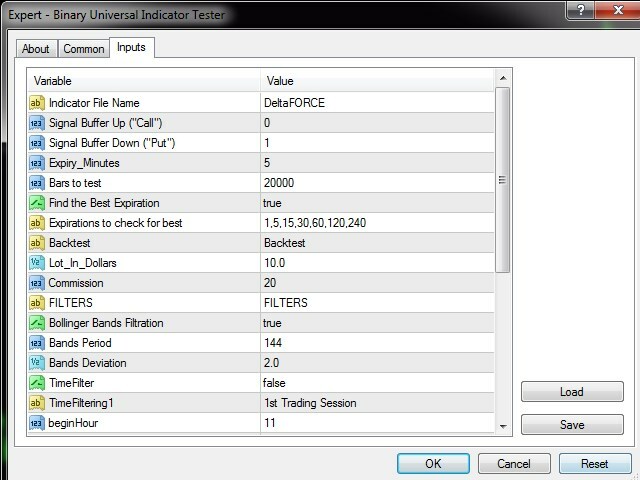 Universal Binary Arrow Backtester / Optimizer is a tool which allows you to easily backtest and autooptimize ANY of yours MT4 arrow indicator under the work for Binary Options. 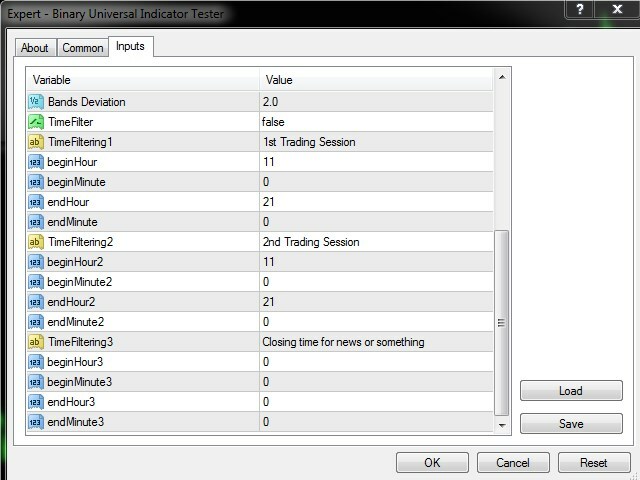 It shows you WinRate for current arrow, number of succesfull trades and possible profit calculated with Lot $ and Commission in %'s which you setup in input parameters. With this utility your Binary Options research taken to the next level of Speed and Quality. 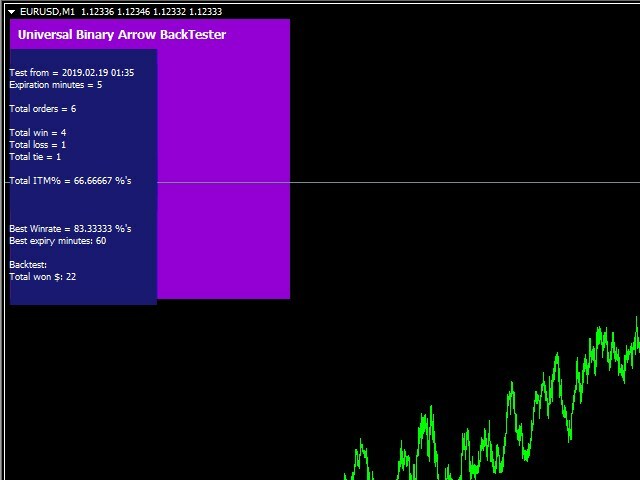 You can backtest and optimize your arrow indicator IN A MINUTES! Find_Best_Expiration = TRUE/FALSE turn ON/OFF the function to find the best Expiration from the list of "Expires"